World Rugby, The Australian Rugby Union and Fiji Rugby Union have announced that a Fiji-based team will participate in Australia’s Buildcorp National Rugby Championship in 2017. World Rugby’s Executive Committee paved the way with the approval of a financial packaage to underwrite participation. 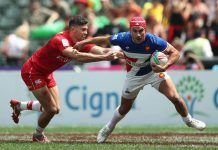 Inclusion reflects the international federation’s commitment to strengthen the player development pathway following productive meetings between the international federation’s Rugby Committee and the three Pacific Islands unions in Fiji in June. National Rugby Championship entry will provide a high-level competition environment that aids Rugby World Cup preparation while importantly providing young Fijian players with an alternative to playing overseas. 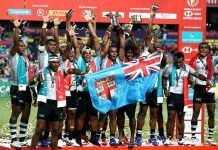 Fiji were one of the stand-out performers within a tough pool at Rugby World Cup 2015, with the set piece and discipline a highlight. Fiji finished the tournament with the best scrum statistics. At the heart of their preparation was Fiji’s share in a £15.3 million investment in Pacific Island rugby programmes (both direct into unions and indirect into competitions) by World Rugby over the four-year cycle 2012-15. A similar figure is forecast to be invested over the new 2016-19 cycle, which will be increased by this exciting new investment underwriting the NRC. World Rugby Chairman Bill Beaumont said: “The Pacific Islands play a major role in the sport’s heritage and future and World Rugby is committed to working with our friends and colleagues in Fiji, Samoa and Tonga to further assist them with the unique challenges that they face. “Participation in the NRC will not only provide a superb performance pathway leading in to Rugby World Cup 2019, but it provides locally based players with a strong alternative to playing club rugby overseas should they wish to remain in the Fijian system. ARU CEO Bill Pulver said: “We are incredibly excited to welcome Fiji into the Buildcorp NRC and thank World Rugby for supporting both the ARU and FRU in helping to make this a reality for next season. “The Fiji brand of Rugby is arguably the most exciting brand of Rugby in the world and their inclusion in the Buildcorp NRC will enhance the competition both in terms of the quality of Rugby and by adding a huge amount of support and interest from the Fijian communities both in Fiji and here in Australia. Planning for the Fijians’ inaugural season is well under way with the FRU working towards building a playing roster of up to 30 players and locking in venues for the team’s home matches. World Rugby also commissioned a working group to progress key recommendations from the Rugby Committee meetings, including investigating other measures to assist the specific challenges faced by the islands, including agent conduct, player movement regulations, future competition pathways, player release regulations and conduct of non-union academies. 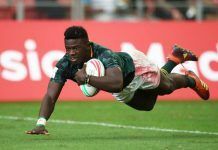 Furthering that commitment, World Rugby recently announced that it will be undertaking an extensive review of Regulation 8 (eligibility) in its entirety.